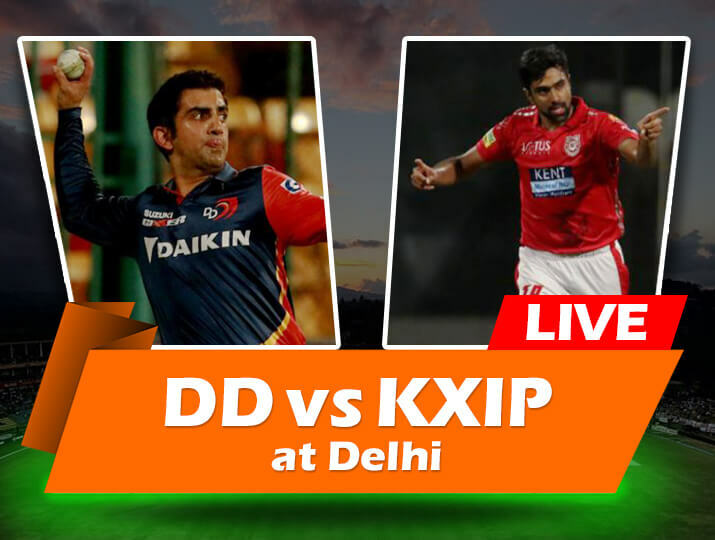 DD vs KXIP Live Streaming Cricket:: Watch IPL 2018 between DD vs KXIP Cricket on Hotstar, Star Sports from Feroz Shah Kotla, Delhi and get Cricket Score Live updates at IndiaTV Sports. When is IPL 2018 match between Delhi Daredevils and Kings XI Punjab? The IPL 2018 match between Delhi Daredevils and Kings XI Punjab will be played on April 23 (Monday). Where will the IPL 2018 match between Delhi Daredevils and Kings XI Punjab be played? The IPL 2018 match between Delhi Daredevils and Kings XI Punjab will be played at the Feroz Shah Kotla, Delhi. What time does the live coverage of the IPL 2018 match between Delhi Daredevils and Kings XI Punjab start? The IPL 2018 match between Delhi Daredevils and Kings XI Punjab will start at 8:00 PM IST. 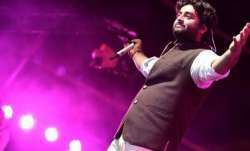 Where can I watch the IPL 2018 match between Delhi Daredevils and Kings XI Punjab live? The IPL 2018 match between Delhi Daredevils and Kings XI Punjab will broadcast live on Star Sports 1, Star Sports Select HD. 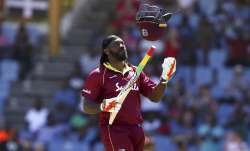 Hindi commentary will be available on Star Sports 1 Hindi. Where to watch online live streaming IPL 2018 match between Delhi Daredevils and Kings XI Punjab? You can watch the live streaming of the IPL 2018 match between Delhi Daredevils and Kings XI Punjab on Hostar from 8 PM onwards. Where can I check the online live updates of the IPL 2018 match between Delhi Daredevils and Kings XI Punjab? You can download the Hotstar app on your device (Apple and Android), log-in or register and you can access the live IPL cricket matches on the online live streaming app. How to watch Indian Premier League (IPL) Airtel TV and JioTV Apps? What are the team squads for the IPL 2018 match between Delhi Daredevils and Kings XI Punjab? 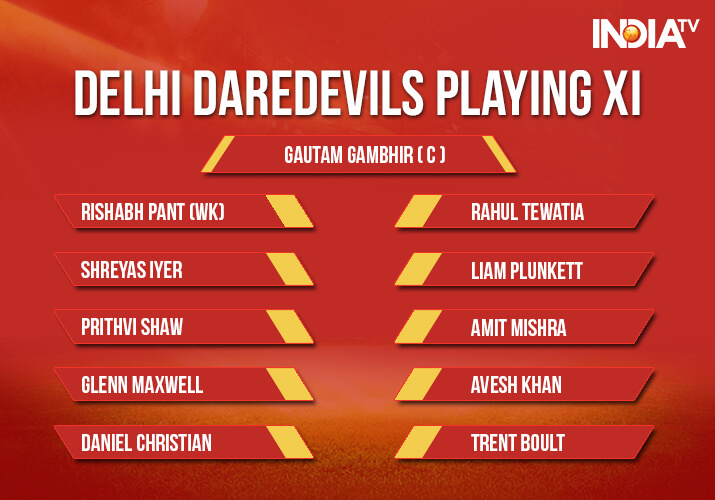 Delhi Daredevils: Gautam Gambhir (C), Rishabh Pant, Shreyas Iyer, Chris Morris, Glenn Maxwell, Amit Mishra, Shahbaz Nadeem, Vijay Shankar, Rahul Tewatia, Mohammad Shami, Trent Boult, Colin Munro, Daniel Christian, Jason Roy, Naman Ojha, Prithvi Shaw, Gurkeerat Singh Mann, Avesh Khan, Manjot Kalra. 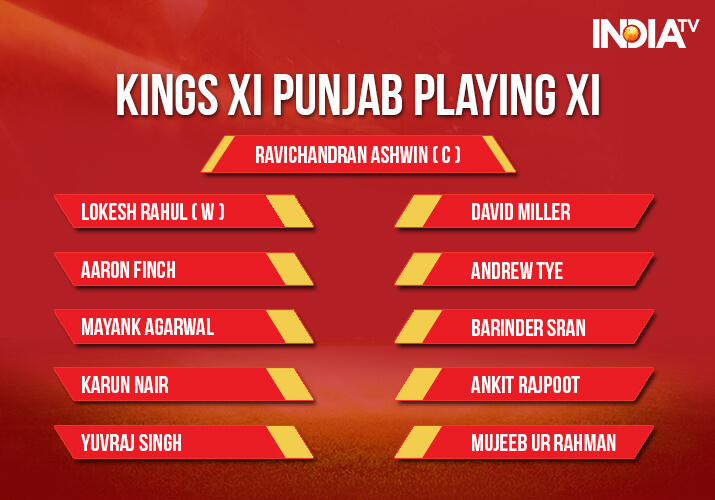 Kings XI Punjab: KL Rahul, Mayank Agarwal, Aaron Finch, Yuvraj Singh, Karun Nair, David Miller, Marcus Stoinis, Axar Patel, Ravichandran Ashwin (C), AJ Tye, Mohit Sharma, Mujeeb ur Rahman, Chris Gayle.